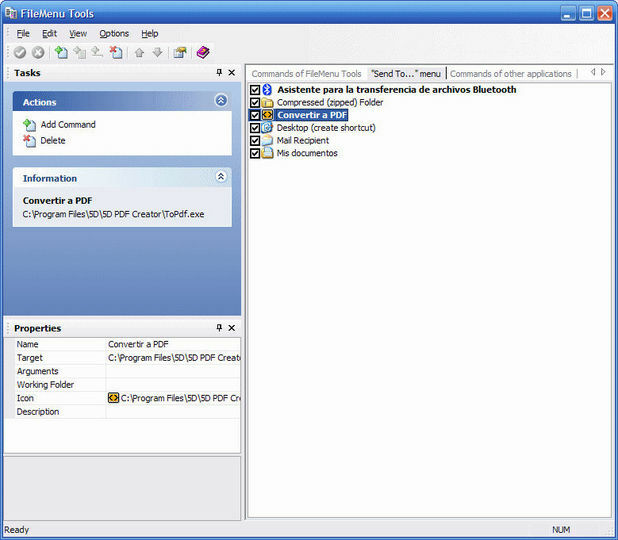 Add some built-in utilities that perform operations on files and folders. 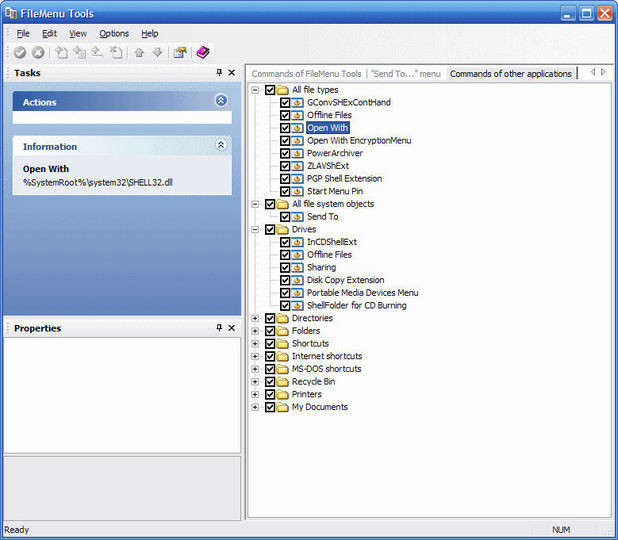 Add customised commands which run external applications, copy/move to a specific folder or delete specific file types. Configure the "Send to..." submenu. 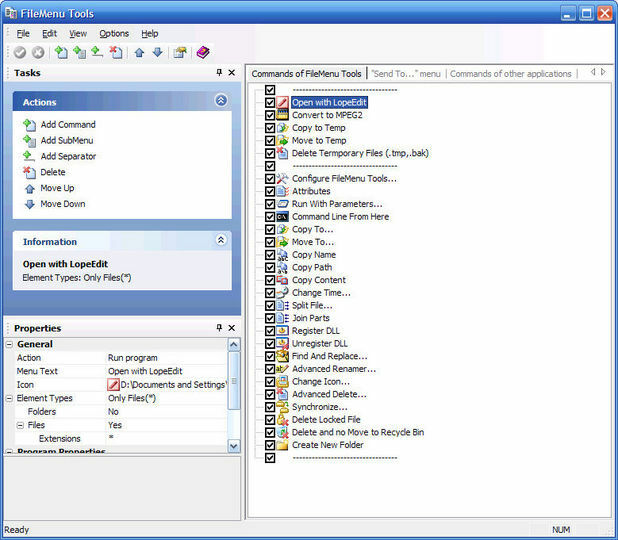 Enable/disable commands which are added by other applications to the context menu. Not a learning tool for basic computing skills but a solution for those willing to invest a minimal amount of time and effort to, in the medium to long term, save time, simplify their workflow and enhance productivity. A bit of creative intelligence and "fiddling" can go a long way to increase this softwares scope even further. This is a handy addition to the context menu. Customizable to the features it offers and very easy to get accustomed to. No, it doesnt arrange the context menu for you, they dont claim to. On the apps own merits- what it offers and useability I find it very worth while. Not what it says on the Tin! Finally, a program to help me sort out my context menu issues in Windows Vista. I got even more enthusiastic when reading some of the raving reviews and I could see my fruitless searching had finally come to an end. FileMenu Tools lead me to believe it would grant me control over the context menu. The major issue I had was the order of some of the items on the context menu. They werent in the order I wanted them. FileMenu did not resolve that problem at all. All it did was give me ANOTHER item in the menu and another item over which I had no control where it went. I didnt want an extra item, I wanted to change the order of the existing menu and I still couldnt do that. 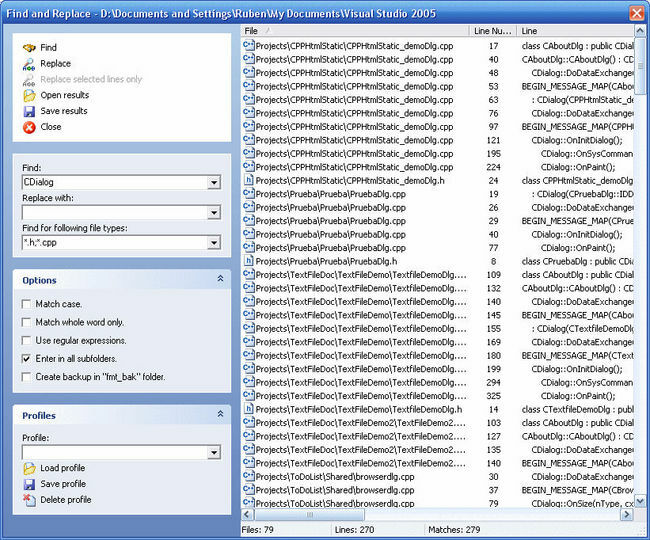 Worse, FileMenu Tools actually seem to throw my already messy Context Menu even further into disarray. Which was only restored to its previous less jumbled state after I de-installed it. I had a look at the the features, anyway. The FileMenu Tools option does give you (some) control over the items within it. And it is fair to say there were a few options I thought that could be handy, however I soon found out not all of the options I had ticked were available in my context menu (note 1), this struck me as odd, but I could live with that, they werent the ones I cared about. However, this is where my second disappointment occurred. An option Copy Name is for me useful, however no Paste Name. So I could copy the name for a selected file, but in order to paste it I had to do it old style (note 2). FileMenu Tools does give you the option to add programmable items to the menu, however not for this type of action (note 3). Meaning, doing it old style is actually quicker for me, so no benefit there either. Which brings me to my last and final point, a vital point for any application and usually forgotten or poorly done is the Help. Unfortunately FileMenu Tools is not an exception. The online help is non existent, consisting out of a few screen shots not explaining anything. The application help isnt much better, it seems to assume prior knowledge on the tool or it assumes the user knows the inner workings of their OS (in my case Vista). If you, like me would like to have full control over your context menu, this tool will not give it to you. Whether this was because of Vista or I just didnt have the applications that were associated with those options, I dont know. But after my initial disappointments I didnt really bother to investigate it further. The usual F2 and CRTL+V (with the occasional CTRL+A if I erred). I tried to see what the instructions were for the Copy Name within FileMenu Tools, however those werent shown and the options of the new menu item didnt seem to allow me to program to Paste Name it.